Just Fab has a notorious reputation of being scammers, something I had no idea about when I purchased my boots. In hindsight I wish I googled them, looked at the comment section on one of their Facebook posts or even on twitter because if I did this prior to purchasing my boots, they would never have been bought. I was silly, I almost always vet a brand/company first before purchasing from them but this time I never, I saw £9 and was sold instantly but what I didn't know was that I would be out £35 a month later with a horrible battle it trying to cancel my account. This is my story with Just fab. As I was scrolling through Facebook a sponsored ad appeared from Just fab advertising boots for just £9! I saw some designs I liked in the photo accompanied with said ad so decided to have a nosy. At first I couldn't find any I like and decided to call it quits when all of a sudden some boots caught my eye, they were beautiful little ankle boots with a nice sized heel on them and the price started they were actual £8 something. I knew I had to have them. I completed the checkout process and not once did I see anything mentioning *VIP membership* I continued my payment with PayPal and patiently waited on my new boots being delivered. Fast forward a week and my new boots arrived! I was over the mood with them, such beautiful looking things that I couldn't wait to get them on. Once they were on my feet I instantly noticed that the left shoe was much tighter than the right, I couldn't zip it up with my sock on (it was a thin ankle sock) so I took it off and tried my hardest to get it zipped up.... that should have been my first warning sign in terms of the boots. I put it down to them being new so I walked around my living room for about 3/4 minutes and I couldn't take it any more, I had to get it off. The right foot was thee comfiest thing ever! I could have walked on that foot all day long if I'm honest but not the left foot. Not being one to return things (I don't know why I do that) I just decided I would persevere and wear them in. I've worn the boots once & it was the biggest mistake I've ever made with shoes. I was at the shops and after 15 minutes I couldn't feel my feet. I rushed home to find blisters had already formed and my whole left foot was swollen and red. I've not worn them since and I'll never wear them again. Fast forward again to the start of December where I was on my way out to Glasgow city centre. I was walking to the bus stop when all of a sudden my phone buzzed... PayPal had informed me that I had just paid £35.99 to just fab.... WHAT?! I don't think so. I was so angry I could have cried and at one point I actually did. I didn't have that in my bank, there's no way I could afford that so panic set in. I went to PayPal and stopped the transaction straight away. Luckily enough the money didn't leave my bank but I was so scared that it would, that I didn't stop it in time and PayPal would have already taken the money. As I was on my way out I decided to ignore it and follow up the next day. I made sure to cancel this 'pre-approved' payment that Just Fab had set up then I unlinked my bank account from PayPal for a while just in case. That night when I got home I completely went into detective mode and searched the Internet to find out what had happened. Apparently I'm not the first and I sure as hell won't be the last who has this happen to them. Hundreds of people were complaining!! 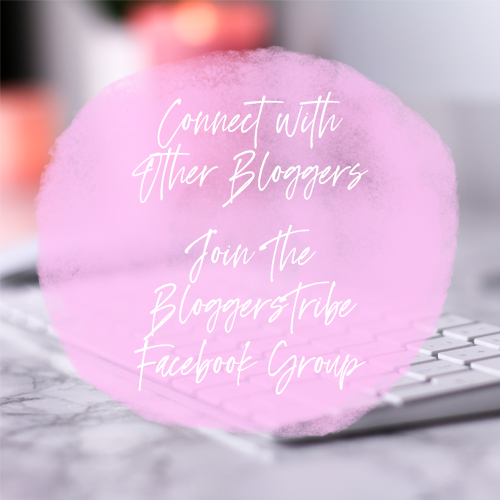 I saw blog posts, Facebook comments, Instagram comments, tweets and more! I couldn't believe my eyes... why didn't I search this before!!! 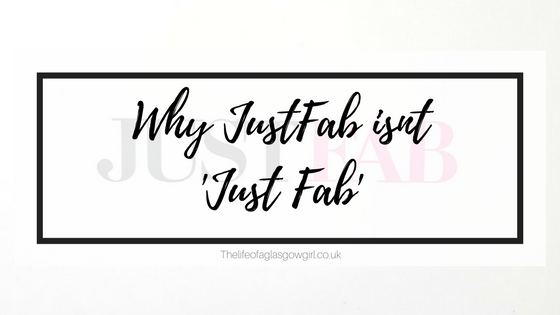 I was utterly gobsmacked at the amount of people who had been duped by Justfab. Some people were out hundreds, some people were given the run around and others simply couldn't get their item returned for a refund!! You see, the sneakily little assholes have it in their T&C which state that you get signed up to the VIP membership which is a subscription where you pay your money each moths to choose items up to that worth, they give you "credits" and you can choose what you want. Now this doesn't sound like a bad idea, in fact it's perfect for those who have a shoe or bag addiction! You can treat yourself each month, but here's the thing. 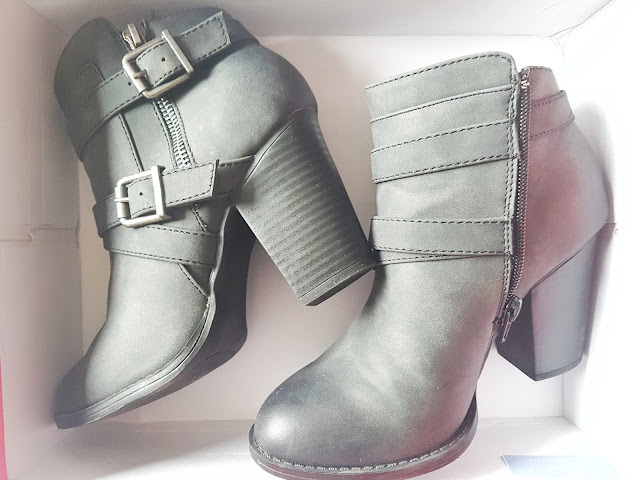 They almost never have sizes in a lot of their shoes and apparently it's extremely common for one shoe to be smaller than the other when it comes to Just fab... a problem I had! There's lots of complaints about the quality and state the bags come in as well. Not only that but your credits go in each month but sometimes they go "missing", this was a major problem I seen in complaints from people. You can choose to skip the month ahead but you have to do it at a very specific time, otherwise it doesn't count and the same goes with canceling your membership. Now you'd think they would have an area where you can cancel your subscription online.... WRONG! you have to phone their call centre which isn't a free number and you're left on hold for hours.... literally. And if you don't cancel within these certain dates, I think it's between the 1st and the 3rd of the month, your cancellation doesn't take effect. Sounds terrible right? But even if you manage to get through... they can lose your details... they don't send a cancellation confirmation email to let you know what's happening and then money just gets taken the next month again and you're told that they have no record of you canceling. What a bunch of wankers. So yes they have the information in the T&C bit, but when you are purchasing your shoes or handbag, there is literally no where on the screen that tells you that you are signing up to be a VIP member.... you don't get a choice. There's no tick here box or anything. I find it completely disgusting that this company is still in operation after the amount of complaints. I have never seen anything positive about them online, but please, if you've had one if love to know! Because I honestly don't think it exists. I have been trying since the 7th December to cancel my 'membership' and it's still not been done!! Luckily enough paypal have blocked them from taking money from my account but still... it really makes me feel uneasy knowing its not properly canceled on their end. I have rang and rang and rang them... most of the time I never get through, I think I have spoken to someone about 4 times... each time it's been some patronising, rude woman who tells me they have no record of me! and that I owe them money for december. I DON'T THINK SO. 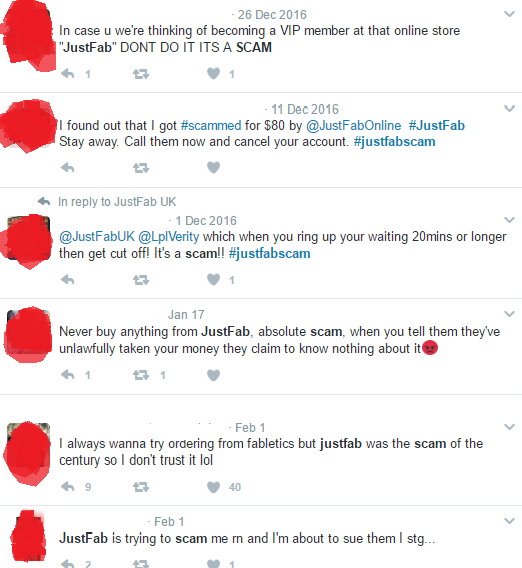 It's disgusting how they treat "Customers"
Just fab are scammers but not in the typical sense, they are just Legal Scammers. 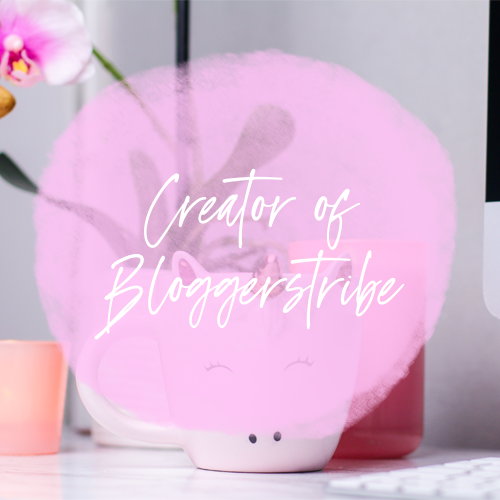 I heard about this company from Charlene McElhinney in the blogger world who experienced exactly the same thing from Just Fab! I was totally shocked and appalled that a company would rip people off in this way, they're such cheeky buggers! I wouldn't have even thought that something like this was legal! 🙊 Thanks for sharing, let's hope that nobody else falls victim to this!! They are so disgusting, how they can still operate like this is beyond me! I didn't realise a company could be as bad as this! This is disgraceful, I am amaze that they are still in business. I'm glad I've never had the bug to buy from them as I certainly don't have £35 each month, also to not have you on file, that's terrible! Surely everyone takes notices when you've rang them? I wish you all the best in cancelling your subscription! Thanks for sharing this, I think this needs to be spoken about so no one else falls victim to their scams. It's so horrible what they do to people who just want to buy some shoes or a bag, it's a total rip off. Oh my, funnily enough I heard about this on Twitter about two weeks ago from another blogger! This is so crazy, how can they get away with stuff like this? I was going to order shoes from them before but am so thankful for this now! I heard that this website ruined this ladies credit rating in the end, just because they take out the subscription without her knowing!!! It's horrible that they can just get away with it! The amount of horror stories I've read about them is so disgracegul! I can't believe that! What a horrible company!! oh dear lord, they always keep popping up on ad's on my facebook timeline and i always feel tempted. but now, definitely not!! 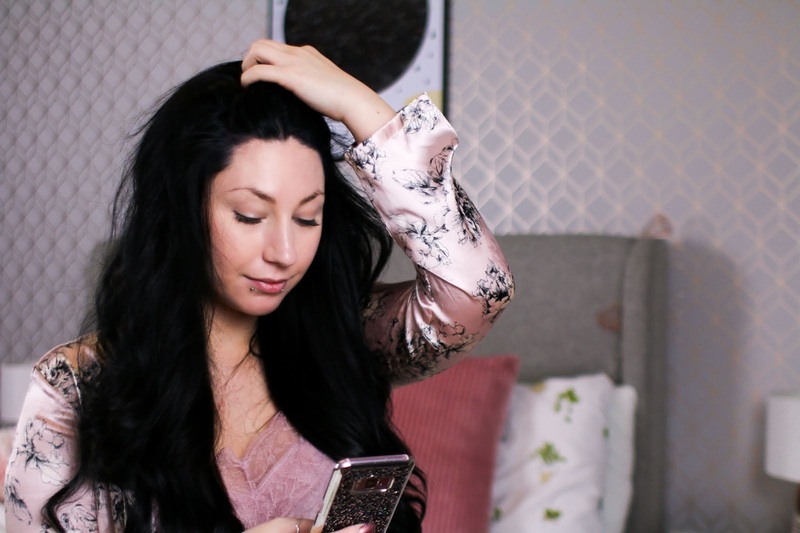 glad you've written a post on this to raise awareness! Wow. I had no idea they had this reputation! I've considered purchasing from Just Fab before & im glad I didn't. Thanks for sharing! WOW! thats disgusting - they shouldn't be able to run a 'company' I'm glad your created this post to warn others - I always see there ads on facebook now I know its a no-go! You're right, generally shouldn't! I can't believe they are still doing what they are doing. This is awful! I think the worst part is they used to have TV adverts and everything when they're just so dodgy! I was not aware of the issues shoppers were having with Just Fab. It's insane that they sent you two different sizes! Ha! I'm glad you got them blocked from your account because that really seems unethical. I was so tempted to order from Just Fab a good few years ago, but decided against it. So shocked and disgusted at their customer service, and so glad PayPal have blocked payment going out! My god they sound completely insane. Firstly, surely the most basic thing for a shoe company would be being able to get both shoes the same size lol, like how do you get that wrong? Secondly it's really good that you paid with Paypal as Paypal make it so easy to cancel things, and they often back you up when you dispute. Finally, how can that woman you rang say they have no record of you yet then say you owe them money lol. I mean it's funny but it's also really terrible?! I think you should have to actually tick a big box if you want to sign up for something like this, otherwise they are just duping you into it. Grr. That's so sneaky. Just stress and agg you don't need huh. Yeah they really are sneaky in what they do, it's disgraceful!